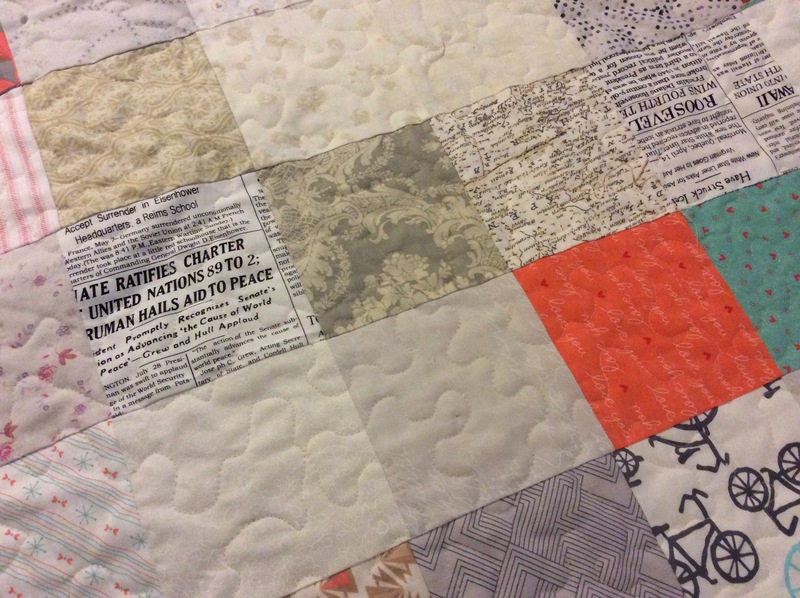 How many scrappy square quilts have I made? Hmmm… lots. Tonight, I finished one more that had been lying, almost-finished, since our last summer holidays. Tonight, ready to be washed, it is resting on our bed. I’m so glad it’s done. I was getting bored of it staring at me, in a forlorn pile, looking mutinous. It’s a funny time at work: the students’ exams are over, but the new term is two weeks away. It’s hard not to work on planning next term’s teaching, although my conscience tells me I should also be writing. So it is nice to start the weekend having achieved something, after only post-suppertime sewing. Why did it take me so long? It wasn’t only because the sewing machine was being repaired. Hey ho, sometimes I just procrastinate, I suppose. Intriguing scrapets of news on some of that fabric! Still, this still isn’t the blue quilt that needs finishing to match the freshly-painted wall. That’s for another time. 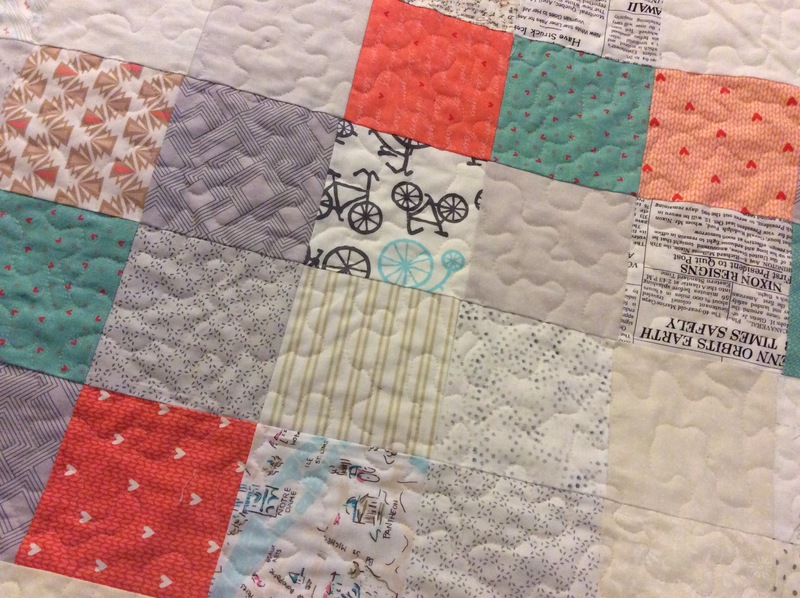 This is just a thrown-together-get-it-finished scrappy, useful no-pattern quilt. I’ll have to find somewhere fun outside to photograph it. 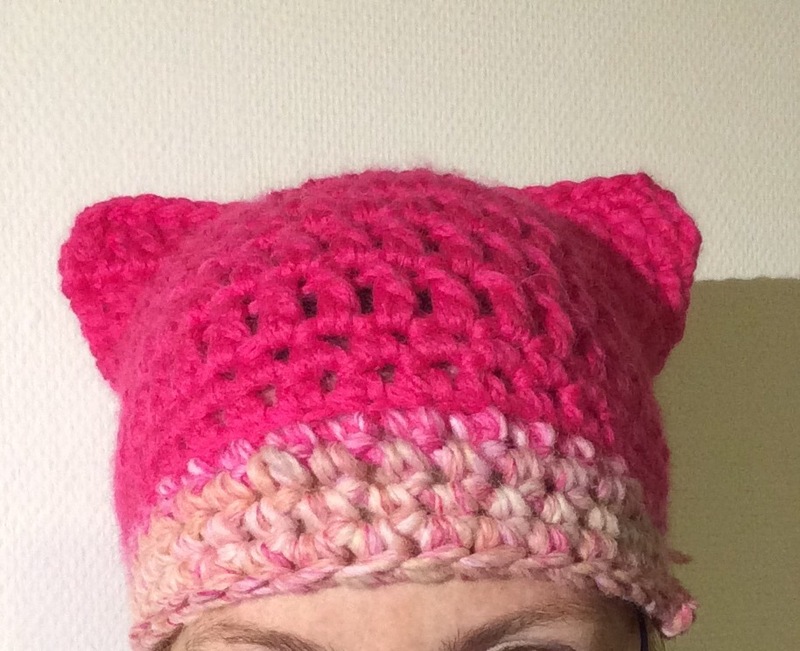 I’m glad my creative energy is mostly back, partly helped a couple of weeks ago by a frantic creative venture making pink hats in crochet or fleece. I handed them out to people who looked cold on the march in downtown Geneva. Now that was a great way of channeling frustration with the barrage of depressing news! 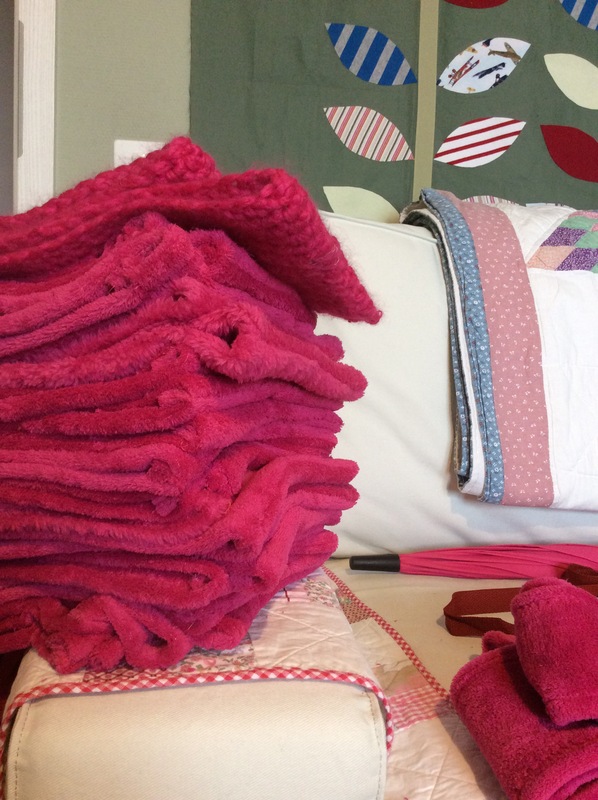 And by the way, cheap pink furry fleece blankets make great hats… I wonder where they ended up? So nice to see you again! 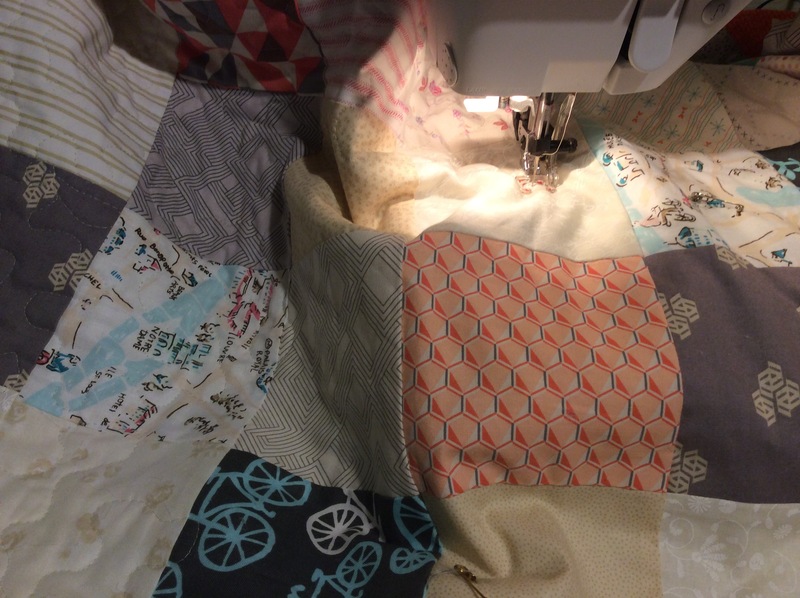 Nice quilt, too! I have so many almost finished projects. I don’t know why I don’t just finish them. It’s such a good feeling when I do finish something.